Imagine this: you’re reading a passage on a standardized test, and halfway through, without even realizing it, you check out. Or you make it through the passage, but the questions feel vague, and more than one answer seems correct. Should you reread the passage and hope to understand it better? Or should you guess on the questions and hope for the best? These experiences are all too common, and they are frustrating. Many students who run into these problems often check out and treat that part of the test as a lost cause. However, at the root of the problem is a simple lack of reading comprehension. Reading comprehension is a complex process that involves understanding both the explicit and implicit, or unstated, meanings of a text. When that comprehension fails, the gaps in understanding pose major obstacles to your overall reading success. Practicing your reading comprehension skills can go a long way toward improving your test performance as well as your long-term reading progress. First, identify your personal passions and interests. Are you a car fanatic? A beauty aficionado? A movie buff? How about a tech enthusiast? No matter where your interests lie, your goal is to find articles and/or short stories about your favorite topics. You can locate articles online or pick up a magazine at a bookstore or newsstand. Second, once you identify a source for reading material, try to read in uninterrupted intervals of 5, 10, 15, etc. minutes. You want to eventually reach the point where you can read for 30 minutes nonstop. This technique will help you with your concentration. Third, as you read, make sure you can understand both the literal meaning and the subtext. This will take active practice. The literal meaning is found directly on the page based on the language and vocabulary used by the author, so look up the definitions of any unfamiliar words as you encounter them. The subtext is found in between the lines by inferring the author’s intentions. Use prior experience and common sense to derive logical conclusions from the text. You will also want to pay attention to the author’s tone, structure, and purpose, elements that will allow you to see the text as a whole. Finally, always write down the main idea of any article or passage you read. Beyond the basic facts and details, ask yourself “What overall point is the author trying to make?” Find the main idea by concentrating on repeated themes and ideas throughout the passage. As you can see, utilizing this approach will require you to be proactive, but the rewards you'll gain from consistently practicing reading comprehension will be well worth it. If you lose focus at any time during your reading practice, quickly summarize, in your own words, everything you’ve read up to that point, and then continue forward. 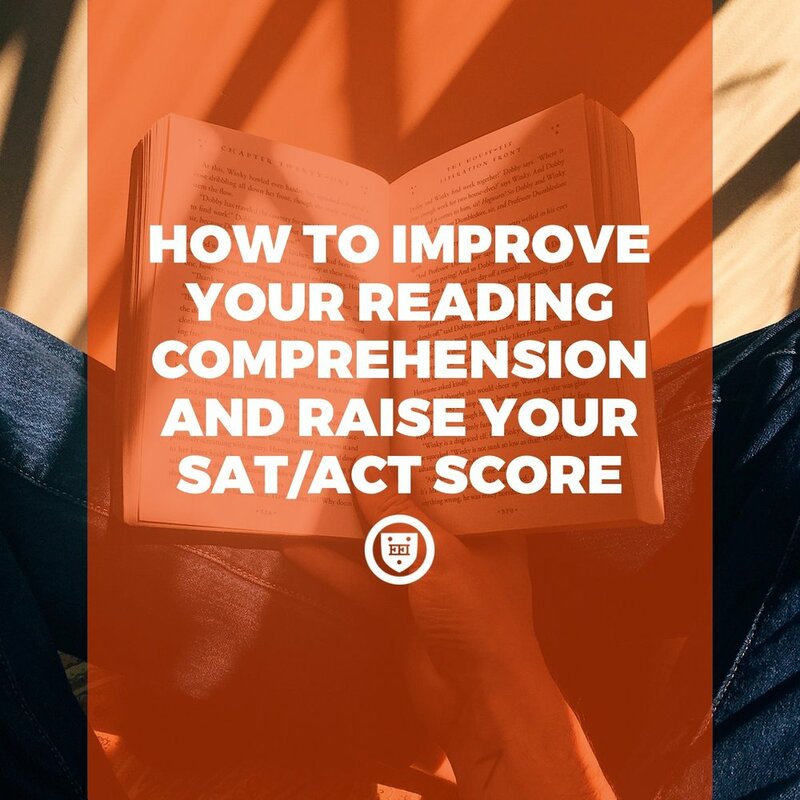 You can (and should) always practice reading comprehension, but I especially recommend doing so daily in the 2–3 weeks leading up to the SAT or ACT. You want your reading process to flow smoothly, and increased comprehension leads to a better understanding of the questions and correct answers. So don’t delay! Start your practice today, and be patient with yourself because it is not an overnight process. However, if you truly apply yourself to the best of your ability, the progress you make will never be taken away.